You work as a regulator, the one responsible for keeping various worlds from falling into chaos. Your partner, Seuss, is broken by the sudden and mysterious disappearance of his love, Ariadna. While fixing worlds, you find a mysterious trail of clues that just might help you find Seuss’s lost loved one. Can you help Suess get Ariadna back? 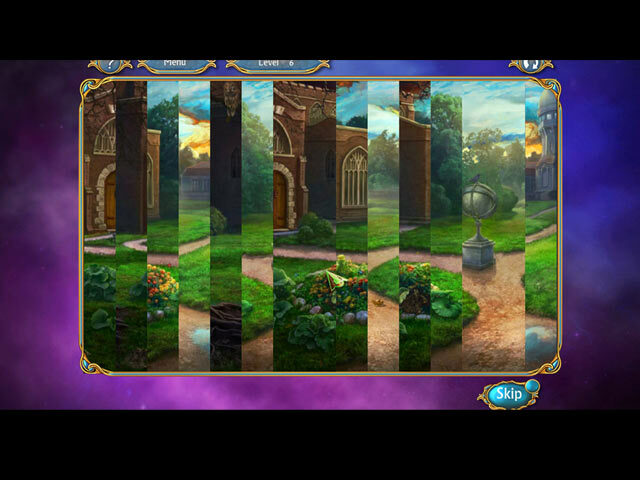 Find out in this exciting hidden object, match 3 adventure! 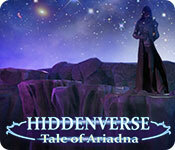 Hiddenverse: Tale of Ariadna is rated 3.2 out of 5 by 18. Rated 5 out of 5 by TooTallProd from Ariadna Clutter! If you like Clutter Games - you will like this one. Fun. Not too challenging but I loved it. Rated 5 out of 5 by LeeHazlewood from Excellent sequel, love it ! Loved the first Hiddenverse, and love this one even more. Very challenging as the game moves along, with plenty of variety along the way. Music and sound effects are superb. Game play is pretty close to flawless as far as I can tell. There is nothing not to like about this game. I hope they keep on coming! Rated 5 out of 5 by varmette from Purchased Right Away This is like the clutter games which I love. It may not be for someone who wants all of the special effects but is great to relax, enjoy and watch tv at the same time. When I am playing many of the other games I have to put everything else aside so this is a great way to play for a little while and not have to worry about what was going on in the game if you haven't played it for awhile. Rated 5 out of 5 by shripch from Love these games! I love the work of this developer. 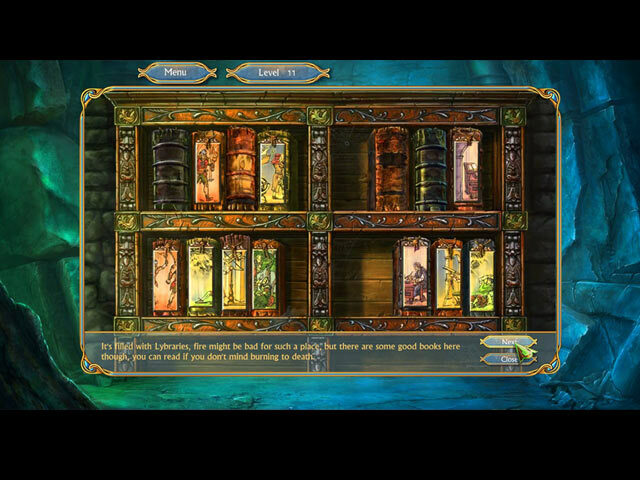 They have created a whole universe wrapped in a variety of games, some hidden object, some adventure, but all fun and adventuresome. Each game incorporates features from the others, like some of the Characters, some of the "steam punk" objects, etc. None of their games disappoint! And this game follows along in the footsteps of the others. Story, variety of scenes, puzzles, HOS, great clear graphics, all the things I want in a fun relaxing game. I have kept Hiddenverse- The Iron Tower has been on my desk top for ages, played while listening to the radio or watching TV. And this game will be there for just as long! Thank you! Rated 4 out of 5 by lizearl82 from Better than dark mysteries I get so excited when BF comes up with something other than those dark, evil HO's. This one is similar to Clutter, which I love. Probably the only thing I would like improved is slowing the "exit" of the item. Some of the things are very interesting and I can't tell what they are. Other than that... keep'em coming! Rated 4 out of 5 by BigM from A nice little game It's a good game to pass the time, if you need a little bit of fun. Rated 4 out of 5 by DeadRiver from Fun Little Game Based on the Demo This is a fun little game, with match 2s and match 3s hidden in a junk pile of objects. It was a lot of fun to match the pairs and collect crystals along the way but it's not the hidden object game that I like to play. I would say it is more for Match 3 players, but it was a lot of fun with the bright colored objects and sparkling crystals. Rated 3 out of 5 by Granny_Gruff from We Did This in February Did you play the Demo For Hiddenverse: The Iron Tower in February? If you did, you've virtually played this game. Same items with a few new ones, all in piles. You match pairs and, sometimes, sets of three on most levels. You receive an extra hint for every ten jewels you find in the piles. Every fifth level is a bonus level that lets you pick one of three puzzles to work through - match picture cards, align stars into a constellation, work through a Match 3, or sift through another pile of pairs. 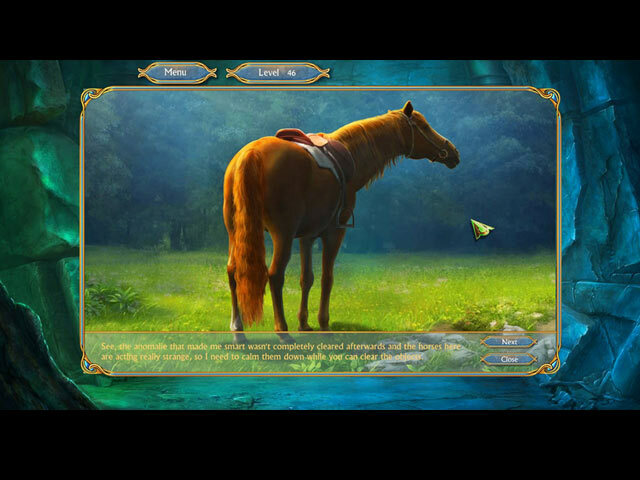 At the beginning of each set of puzzles is a simple jigsaw with a picture pertaining to the "story." Occasionally there is a strip jigsaw to get another pertinent scene. In between times there are pictures with dialogue below them. The story is minimal and is contained in the readable on-screen dialogue. You play as a new recruit learning to keep worlds in order when they touch/overlap. You will try to help your partner, Suess, a more experienced regulator, find his girlfriend, Ariadna. I like to have have one or two different games in my collection as a respite from the usual HOP/Adventure games I play. But one or two is pretty much all that's needed. Please give the Demo a try. See if you need a mini-vacation from whatever you usually play.